Colorectal cancer screening can save lives. Colorectal Cancer is real, yet it can be prevented and detected at an early stage. Help us save lives from colorectal cancer in your community by making a pledge to speak with your doctor about screening options. Starting at age 45, individuals at average risk for developing colorectal cancer should get screened. There are several screening options available, including simple take home options. 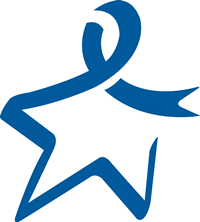 One in 24 people will be diagnosed with colorectal cancer. Will you take the pledge or encourage a friend, co-worker, family member, or even a stranger to take the pledge? I'm 45 or over, and pledge to speak with my doctor about colorectal cancer screening. I'm 44 or under, and pledge to speak with my family, friends and strangers about the importance of colorectal cancer screening. By entering my information above and submitting this form, I am opting in to receive SMS and email messages from the American Cancer Society.